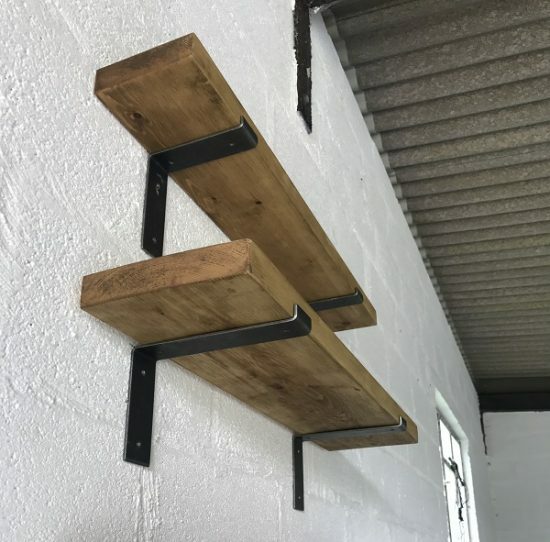 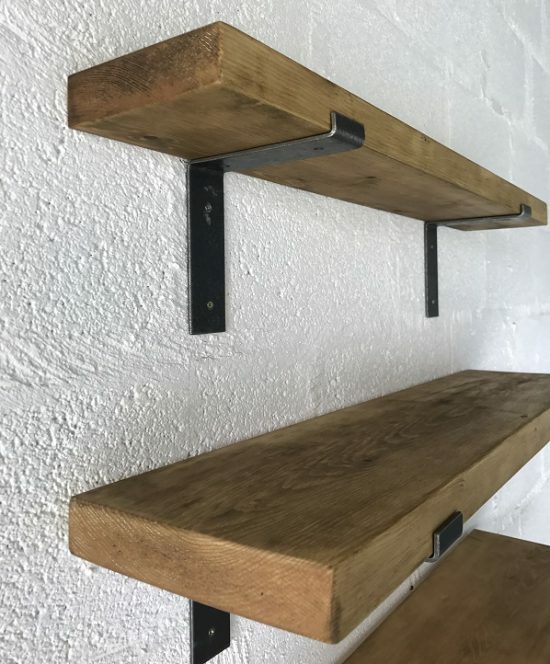 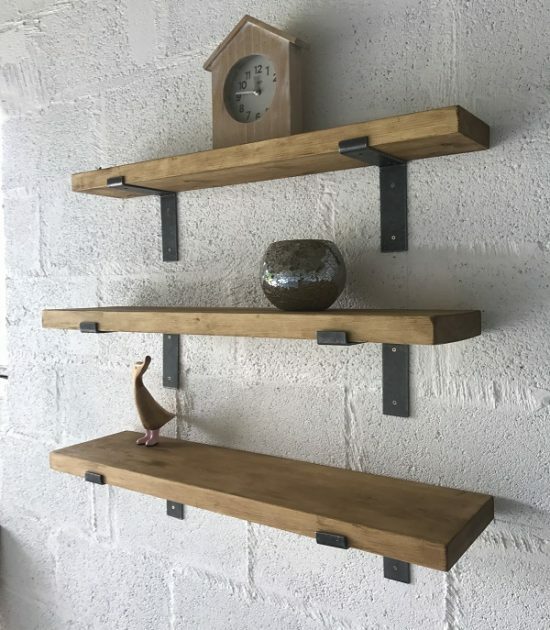 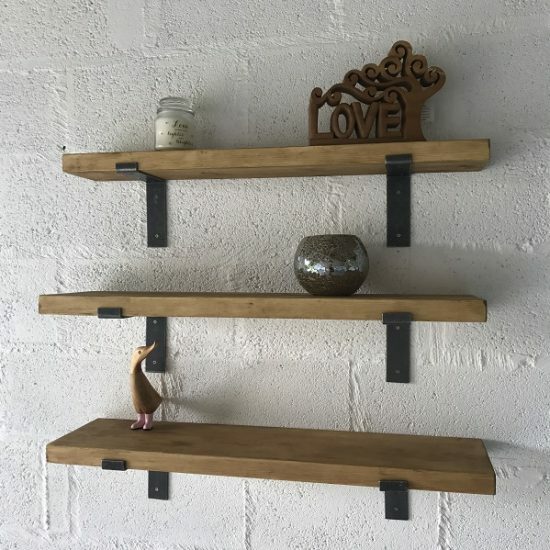 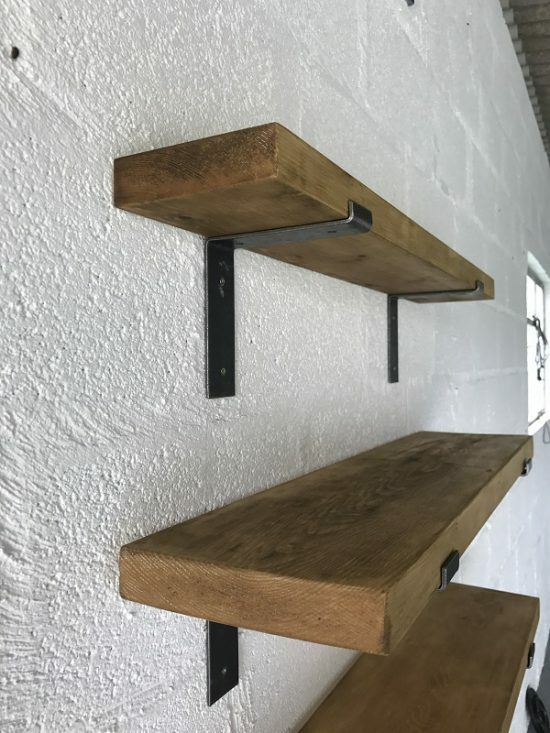 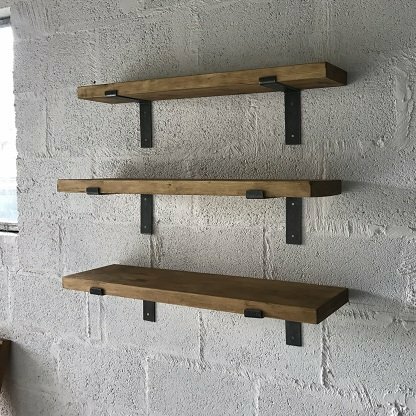 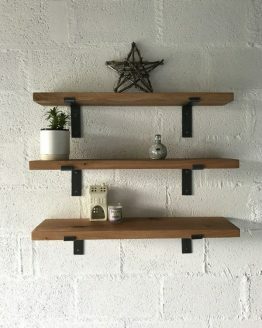 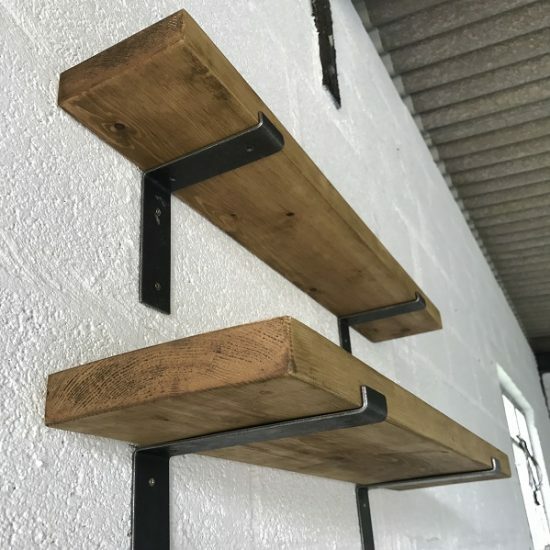 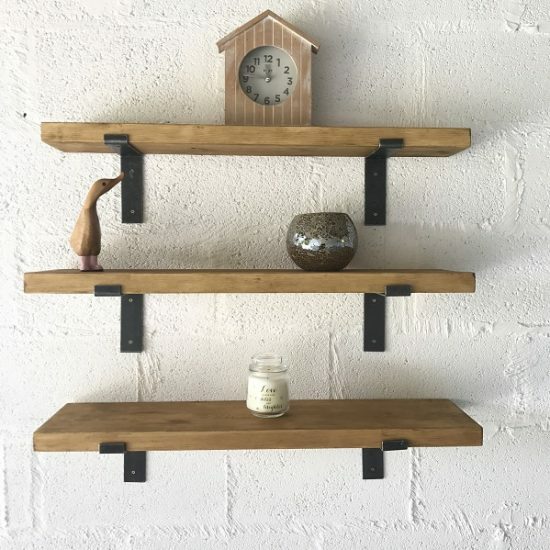 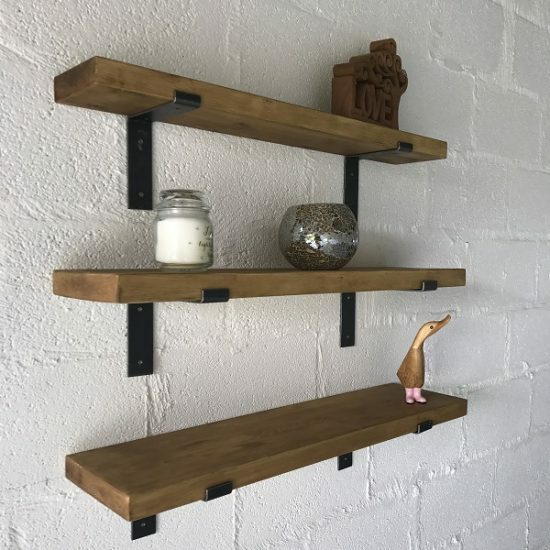 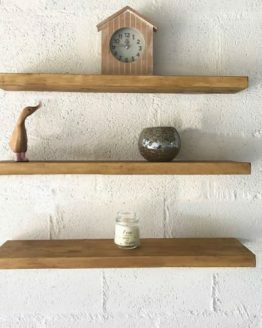 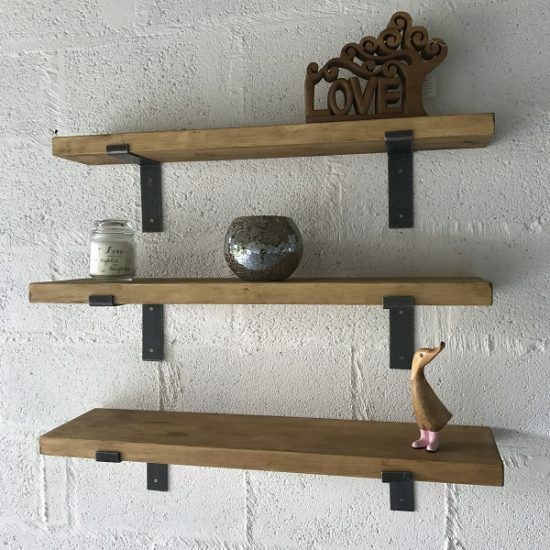 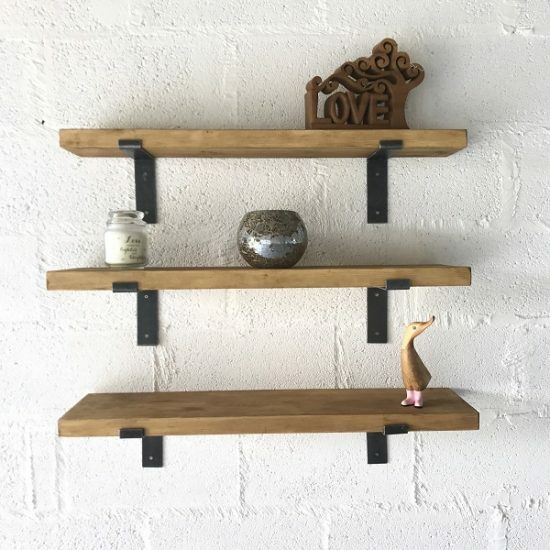 Solid, chunky kiln dried pine shelving. 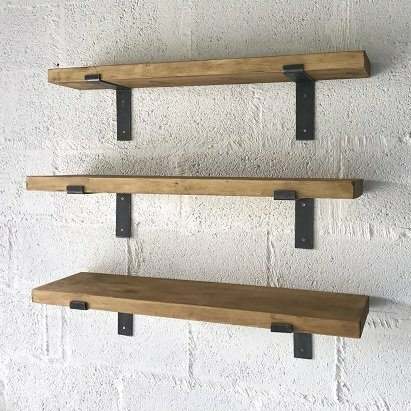 Available in a number of lengths and sizes with L-Shaped cast iron metal brackets and a choice of oil pots. 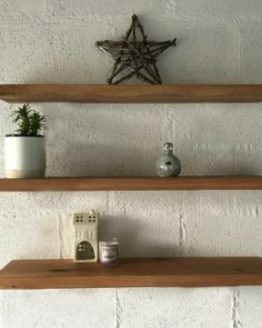 Excellent quality, locally sourced pine. 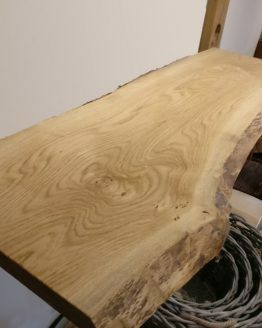 Kiln dried to remove moisture prevent further cracks from appearing in the timber. 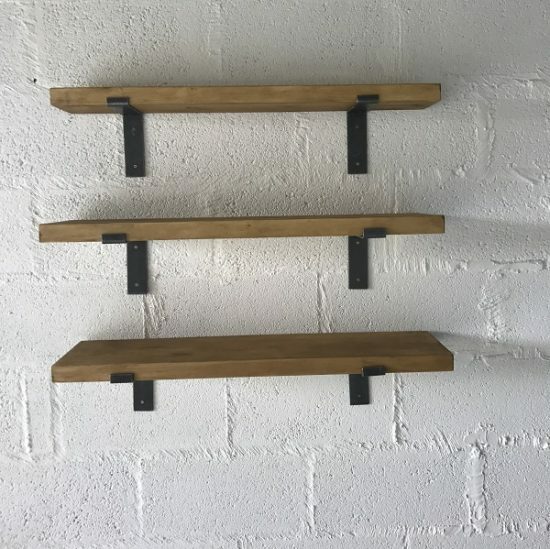 Straight edges and sharp corners slightly rounded. 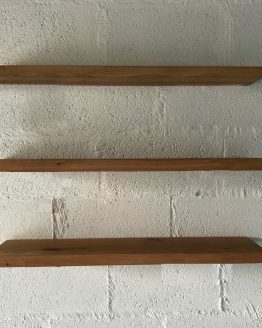 Please note, the shelves in the images have been coated with Walnut oil. 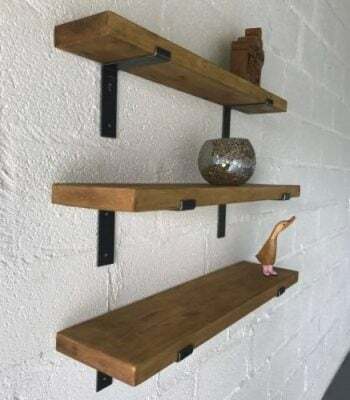 Price is per shelf.